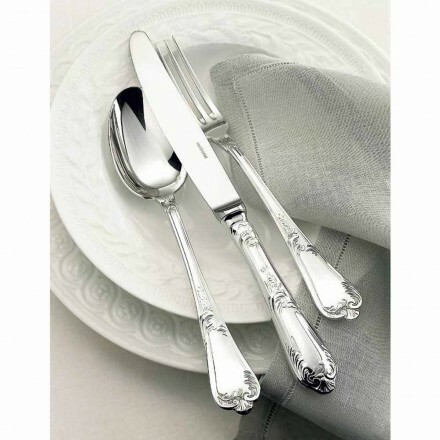 Cutlery Rosenthal Sambonet, the elegance at the table! 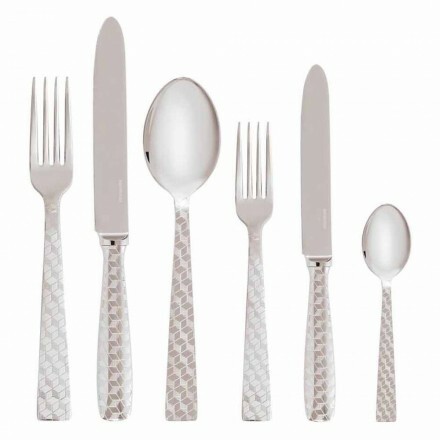 Those who would like to have a table always elegant and perfect in every detail, know that in addition to the precious porcelain of Medusa collection and crystal by Versace another important element for the accommodation of the table that can't be missed, it's the exclusive cutlery set, signed Rosenthal Sambonet. 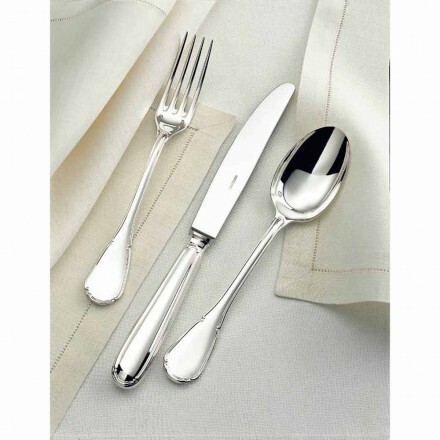 In this section, dedicated to set of cutlery made of nickel silver every personal taste will be satisfied. Set in a classic style reminiscent of the French nobility of the courts, with handles decorated with a double thread. A collection called "Baguette" exclusive and timeless, represents in its simplicity, the elegance of the first years of '900. The collection "baroque" a bon ton and refined style for those who love simplicity. And finally, the collection more modern signed Giò Ponti with geometric patterns on the handles to give the gift of a tactile experience. 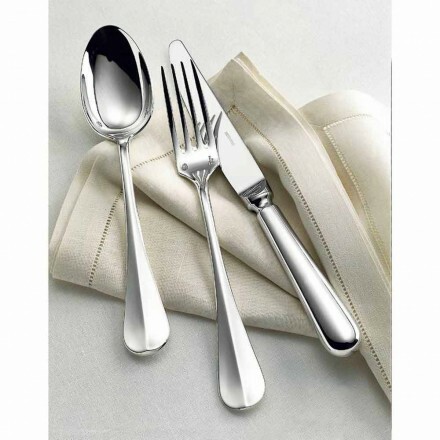 Let yourself be seduced by the elegance and timeless style of the collections of cutlery signed Rosenthal Sambonet!